Raising Readers and Writers: It's Monday What Are You Reading? Thanks to Jen and Kellee for hosting this meme. You can go to their blog Teach Mentor Texts to read more about what others are reading. This week has been a light reading week for me. 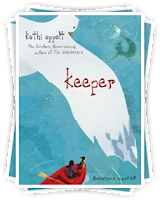 I finished Keeper by KathiAppelt. Loved it! I was excited to get Bonnie Pyron's newest book The Dogs of Winter at the CAWP Fall Writing Conference. My class loved A Dog's Way Home last year. 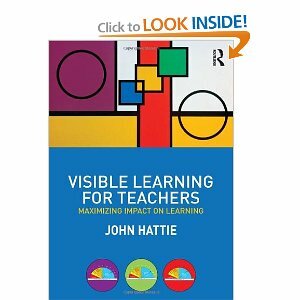 My professional read for this week is Visible Learning for Teachers: Maximizing Impact on Learning by John Hattie. One of my colleagues from my teacher inquiry group had rave reviews for it. locale Montaigne throughout Paris, france have been the property involving panerai replica This particular language manner prime makers: Louis Vuitton (#56), Loewe (#46), Celine (#38), Alfredia Lacroix (#26), Alfredia Dior (#30), Valentino (#17-19) along with Chanel (#42), recognized jewelers, Bulgari (#45) along with Holly Winston (#29) - also your lush Plaza Athenée lodge, and that is the favourite involving a good many American along with National barons, B razil millionaires, celebrities, royals along with brains involving point out. Considering that 1980s, your path Montaigne ended up being chanel replica sale viewed as chicago grande dame involving This particular language roadways pertaining to substantial manner along with equipment. Until recently the style star can be carrying on with within this block. During the past year planting season along with summertime, Alfredia Dior The 40 totes needs to be the concentration involving conversation pertaining to manner lovers. Referred to as following handle in the maison throughout Path Montaigne, your handbag series absorbs the stylish aspects because of this substantial manner block, vividly along with incisively supplying people high-class along with classiness. Glistening Off white breitling replica sale Python The 40 handbag will be the person in The 40 series. Painted throughout glistening off white python-skin, it can be yet another enjoy as well as loathe handbag using spectacular natural leather. A new signature bank silver precious metal firmness DISC allure dangles through the drawstring. The complete design and style echos girly effect, downtown border along with fine quality. Life experience degree online is providing a great way to gain knowledge and experience in anywhere. Students can easily enroll in it for new programs and advance technology and get class or lectures in any time any place where they feel comfortable. Student can do work in a well reputed firm in respected position.